It turned out to be a stirring weekend of competition in California. 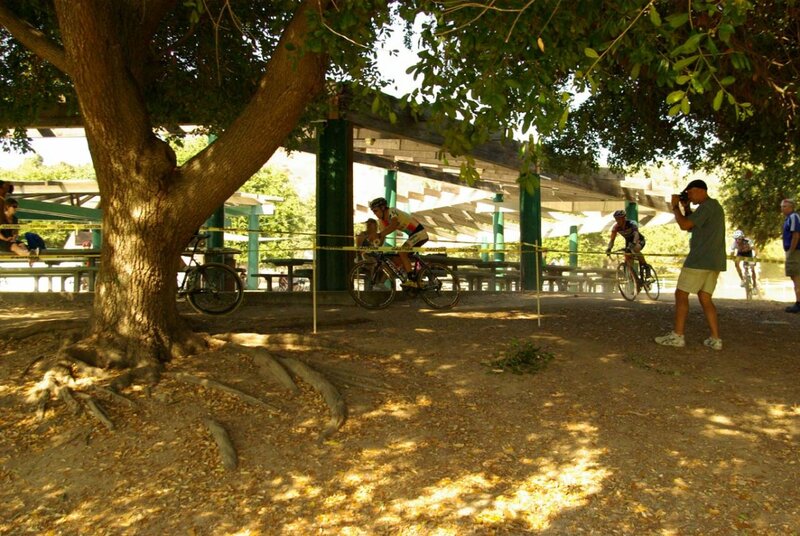 It was more than just racing this weekend and Bonelli park, San Dimas, California, turned out to be a great venue for the UCI weekend of racing, bike swap and more cycling advocacy events that promoter Dorothy Wong made happen. 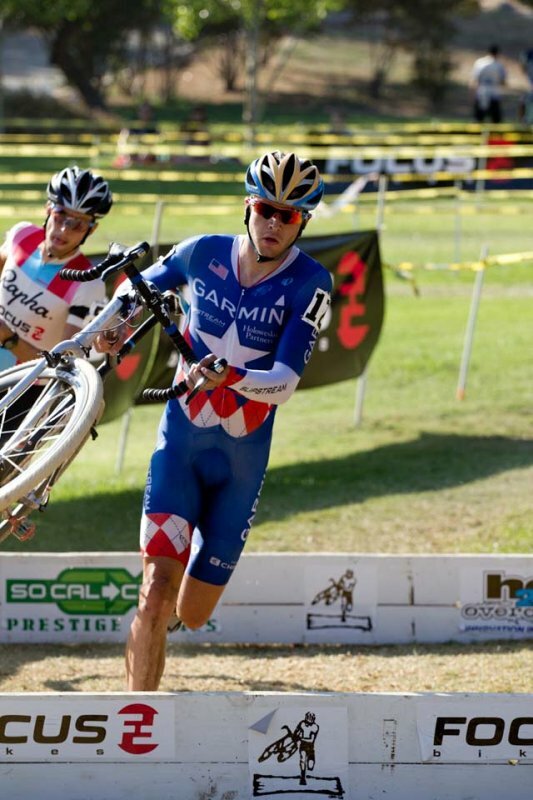 But the racing was the fastest seen in Southern California cyclocross and exciting for fans and park-goers to watch, thanks to the level of competition in town for the show. 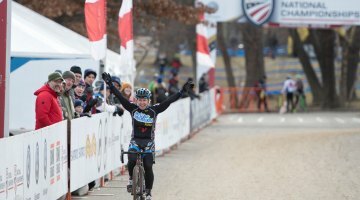 The stage had racers from four different countries in the Elite fields and a handful of successful U23s who showed their talent this weekend. 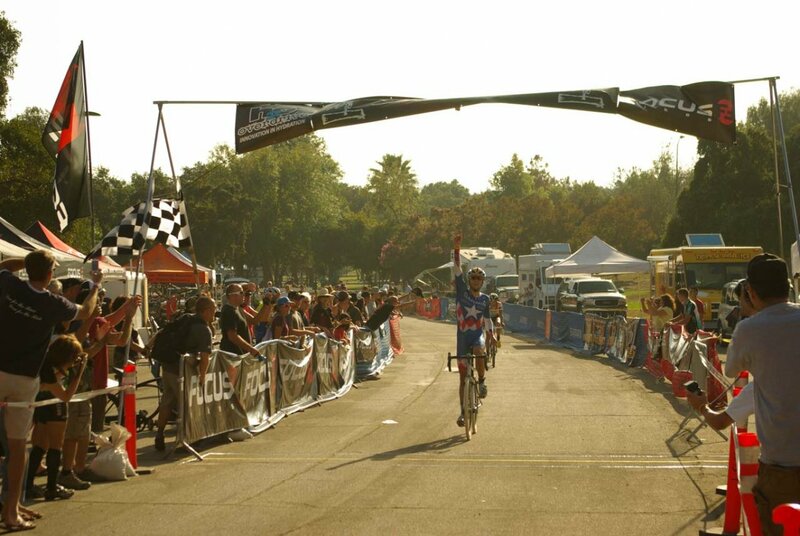 In the women’s race it was Teal Stetson-Lee (California Giant-Specialized) who looked powerful and confident coming off her first Elite win from day one of the Kross-toberfest event. 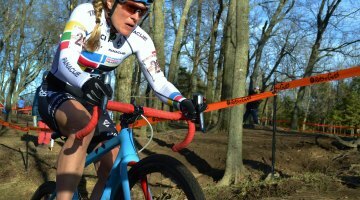 She led the women from the start on the newly routed course for the second day of racing. Devon Haskell (Bike Station Aptos) followed with Katrina Baumsteiger (Rambuski Law) and Barb Howe (Ibis) in fourth. 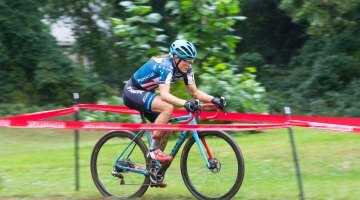 Howe looked to quickly move up as Stetson-Lee slid out in the first lap, but she was passed in the mix-up by Sarah Maile (Ventana Bikes). Teal was up quickly and back on the group and it didn’t take long for Stetson-Lee and Haskell to dominate the front of the race again. Maile and Howe were on the chase, but in the end it was Teal Stetson-Lee again for the win and an emphatic stamp on the weekend. Haskell took a comfortable second and Howe found herself alone with a small gap as she broke away from the chase to solo in for third. In fourth it was Carolyn Popovich (PAValleys.com) who moved up in the field to grab fourth from Maile, who rounded out the top five. With Rapha-Focus rider Chris Jones still hungry after his mishap with rolled tires and Joachim Parbo (KCH Leopard Cycles) fresh off dominating the end of day one’s race for the win, it was no coincidence that these two were on the front at the beginning of the race. It was Parbo who took the lead after the fast road start and through the first lap, but he slipped back on lap two as Jones and Danny Summerhill (Garmin) took to the front. Parbo said later, “I knew the way I felt that I would not break anybody up front, so I allowed myself to drop back.” It was true that the course favored road racers as the final results revealed. Summerhill sat second wheel for a good porting of the day. He did some of the work, but he stayed up front while others set the pace. Early on Kelly Benefits rider Alexander Candelario took the lead from Jones and set the fastest pace of the race for a lap. But, Jones was looking strong; he went back up front and put down road-style attacks one after another. With about 30 minutes to go in the race, Jones and Summerhill broke off from the front group until the end. Close behind it was another strong road racer, Jonathan Baker of the Hudz-Subaru team, who also had tire troubles the first day. Baker too wanted the win, but later explained he was very happy with third for the day. After Baker it was the talented U23 riders Jeremy Ferguson (California Giant/Specialized) with fourth and Zach Mcdonald (Rapha Focus) fifth as they just broke off their group in the last lap. 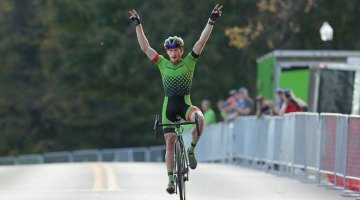 They were second and third, respectively in today’s U23 standings behind Summerhill. The racing was intense and close-fought throughout the top 10. 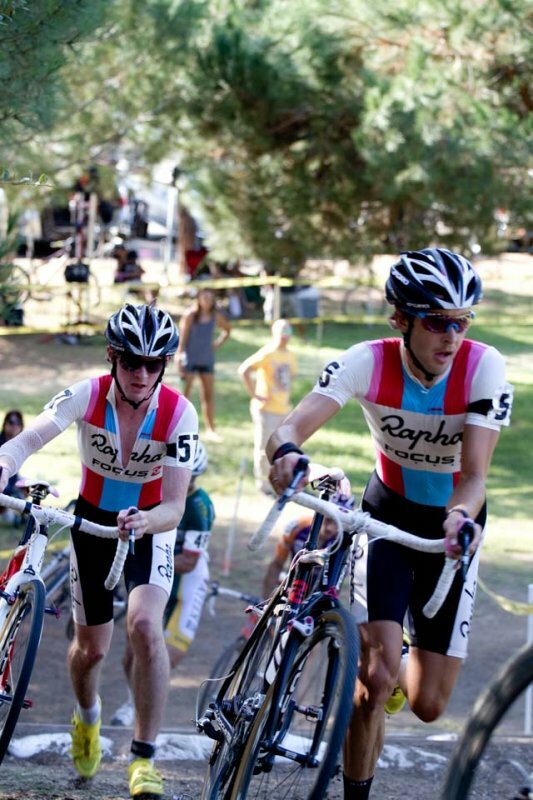 The next group had Aaron Schooler (H&R Block), Tyler Wren (Boo Bicycles) and Craig Richey (Cyclocross.com-Blue). 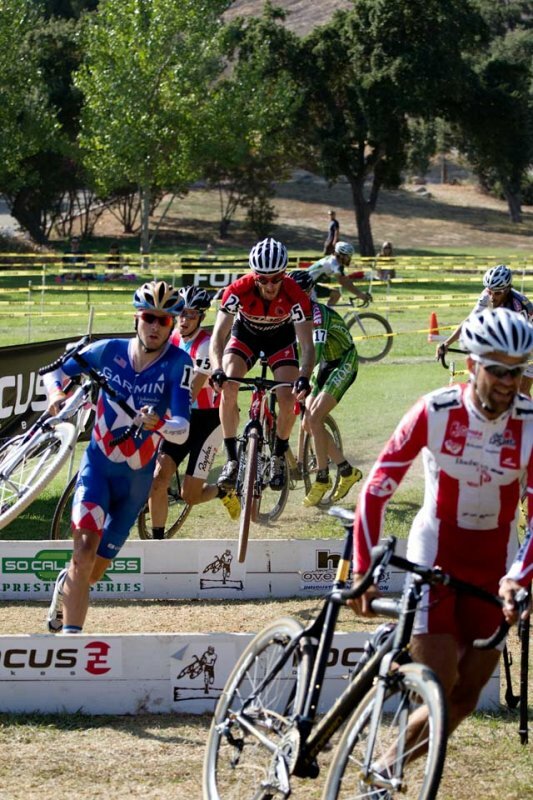 The weekend turned out great with warm weather, some showers that brought mud to SoCal cyclocross for the first time in two years, and well-planned courses. 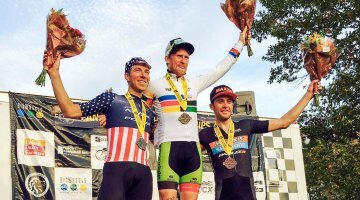 Overall it was a great experience to bring UCI racing to the West Coast with a field of international competition, and to see three U23 riders in the top five of the Elite men’s field, as it is a glimpse of the progression and future of US cyclocross.